Oh to be young and in love! But before you go thinking that I’ve finally been bitten by the love bug, no I haven’t. I just might be a little smitten by this young fellow over here. I’m sure you’re dying to know who he is. But before I introduce (and share) him with you, let me show you a few photos from our little picnic first. Since the love month has finally arrived (yay for couples, nay for singles), my blogger bestie Laureen and I thought of cooking up a little something for you guys. Just a simple Valentine’s day suggestion for all you young hearts out there. 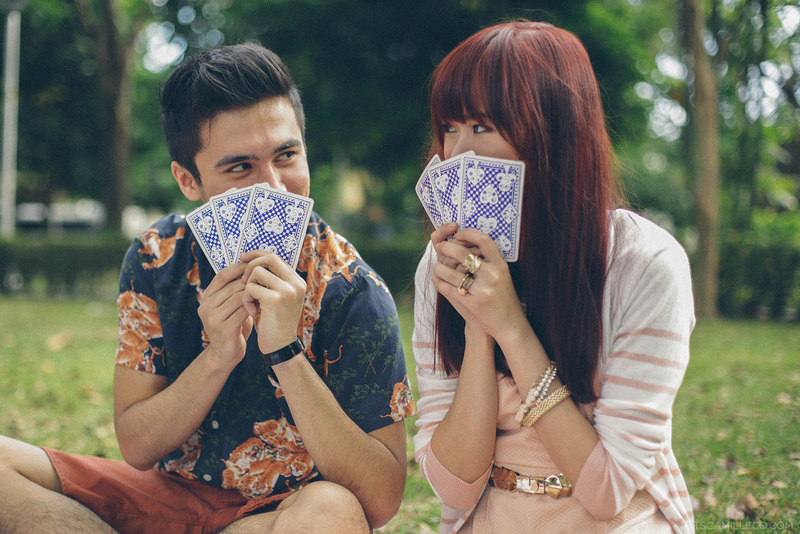 Why not go on a picnic together? Valentine’s day isn’t all about fancy dinners and grand gestures. A day like this may just be what you need to get to know your partner a bit more. A casual setting where you can just have fun and let loose can turn out to be more romantic sometimes. You can start with brunch and plan the rest of your day doing activities together. Worried about what to wear to a date like this? A simple and sweet dress like this may be just what you need. I always like to dress in a feminine manner on dates. I think men understand this type of outfit more than trendy and fashion-forward pieces. There’s a reason why they’re called man-repellers, you know. This dress is perfect for dates because it’s casual enough for day but is still dressy enough for dinner dates. You can just take your cardigan off and change to more formal shoes and you’re ready for that fancy dinner date to cap off your Valentine’s day. Whatever you’re wearing, make sure to keep your accessories simple. There you have it! Now that you’ve got your outfit ready, all you have to do is look forward to your awesome date with your special someone. Laureen and I actually came up with this idea because of this guy over here. I know you’re dying to know who this cutie is. 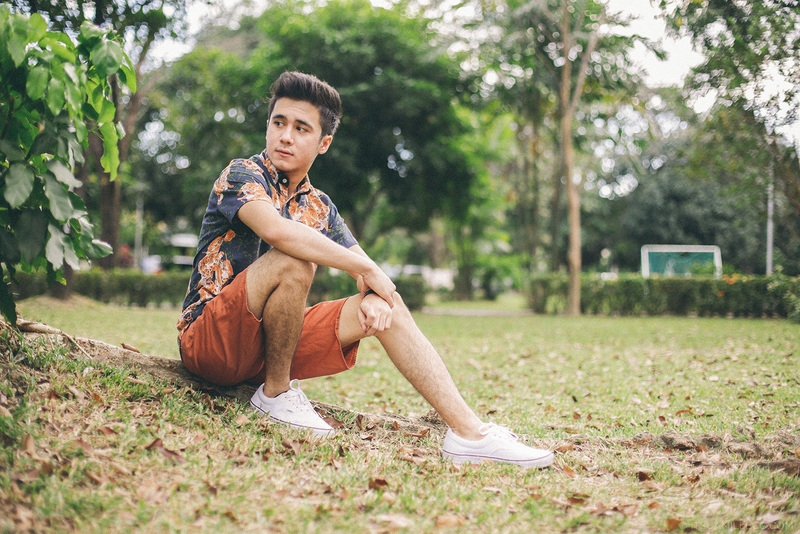 Meet the half-Italian, half-Filipino boy wonder, Luigi D’Avola. His name might sound familiar to you because his song has been playing on the radio lately. Yes, this cutie is a singer!!!! What’s that? Is that your heart melting? Join the club! This guy can make all the girls swoon with his voice. I can’t believe he’s only 18 years old and already, he writes his own songs!!! Can he be more charming? Kudos to his manager and producer Champ Lui Pio and Mecca Management for finding this gem! So anyway, as I was saying before I gushed about this young talent, Laureen and I got inspired by Luigi to make this little Valentine’s post because we heard his song a few weeks back and we just can’t help but think about Valentine’s day and all things lovey-dovey. Have you heard his song? It’s called “Take A Chance”. You have to watch the music video!!! Kaka-in love! So sweet, right? My friends and I can’t get this song out of our heads. We’ve been listening to it over and over again. If you want to download Luigi’s single, it’s available at My Music Store and Itunes. If you want to know more about this future heartthrob, visit his Facebook page here or follow him on Twitter. Special thanks to Niel Ong for the group photos and photos of me by the swing. Love everything on this blog! That dress is so sweet, the photos are great (Love looking at them), oh and the guy. Ooh lala! Hi Camille! May I please know where Luigi got his shirt from? Sweet and fun :) As always, I am delighted with your photos. what hair color is that ms camille? That’s a great Valentine-date-idea Camille! Very pretty dress too! weee you smiled there! cutie mo pag you smile ms.cams..keep smiling,keep shinning! Love the red hair and thanks for sharing this song, haven’t heard of it kasi..have a good day! Thanks ChaCha! :) My pleasure! super cute! nice peg for prenup pictorial. btw, where can i get those giant playing cards? thanks! I love his song! I keep on playing it anytime, anywhere haha. O.o? Miss Cams, you’re …ahem…single? REALLY? Hi Camille! Did this Luigi went to Sinulog this year? Particularly at The Terraces Ayala? The Republiq Party? Hi camille! What brand exactly is your dress from robinsons? Hayy, so handsome talaga ni Luigiii. <3 Bagay kayo, a pretty gal and a handsome guy. :') Hihi. Anyway, since prom is near na, I'm gonna wear a sleeveless gown kaso I feel like I have dark underarms then may mga hair rin but not too thick naman, can you suggest anything that I can do without making it dark? I went to a waxing salon and I can't undergo the waxing and laser process daw kasi my age must be 16 years old or above to do it. :/ What can I do? :( Thanks. Oh! I don’t know na what to suggest. Wax and laser kasi won’t darken your underarms unlike shaving and plucking. You guys are very cute! Love the theme. And theeeen I have to say an other thing: i really love half-Italian and half-Filipino boys, I think they have charm! And I’m listening his song for the first time right now and it’s really good! Sweet dress :) Advance Happy Valentines Miss Cams and Happy Chinese new year. 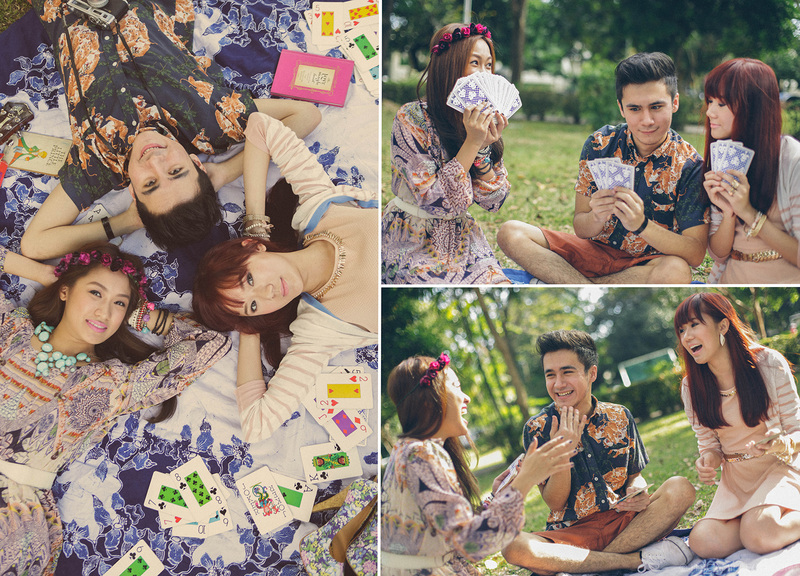 I love these photos :) It makes me want to invite my best friend this valentines as my date! Wow akala ko music video screen caps na po yan :) Ang cute niyo ni Ms. Laureen! aww but thanks camille.. ikaw na.. “ang cute ng kasama niyo ah? ” haha lol..
RED Locks!!!!!!!! i Luv it!!! if you don’t mind, where did yah have it done Ms Camille? what’s the color hue? Your hair!!! :) So, who’s your Valentine this year? i soooo love your outfit.. I love the gold accents on your outfit! Super cute location for a shoot! Such a cute shoot! I’m also loving the dress. Hi Camille, just want to know what exact brand in Robinsons Dept Store is your dress from? Thanks! Omg the guy is so cuteeeeeeee!! !love the shots!!! I’ve always considered you to be beautiful. You are even more so with this outfit. You blossom with loveliness as beautifully as your floral peep-toe pumps. Your dress and cardigan are beautiful together. This is hard-hitting beauty with such a soft and dainty outfit. You are princess material with this outfit. Thanks Dolly! You’ll love the video! I cannot leave this blog entry. The photos were great and in fairness Miss, tumawa ka nang tumawa kasi nakaka-less intimidating dagdag pa ang outfit mo. Gorgeous outfit, I love the dress paired with the cardigan. Can’t wait to listen to the song! This blog post is so cute! Reminds me of my sister’s pre-nup. 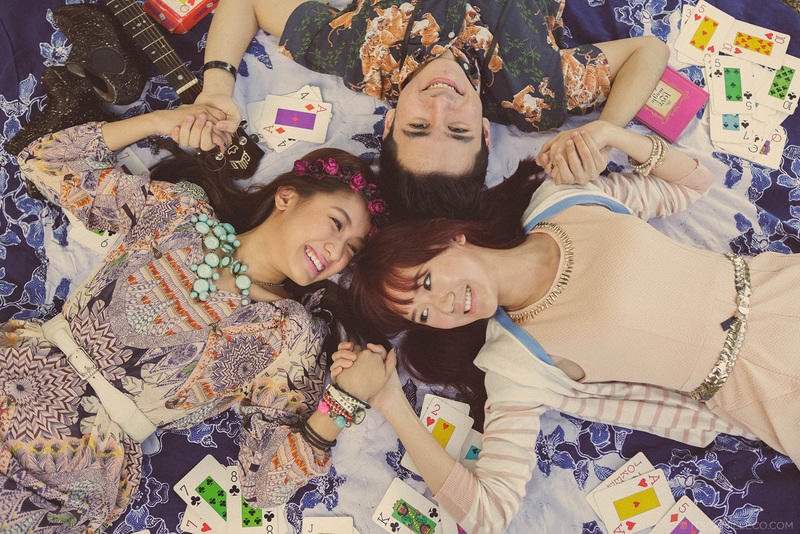 It’s also a picnic-themed shoot. Where did you shoot this? Keep smiling! Love it when you do. At a village park lang :) Thanks Cleo! Oh really? I thought the lighter hair color I used to have made me look more Korean-ish haha! Thanks Marge! The first time I saw this reminds me of Girls Generation! YOUR FACE LOOKS SOOO KOREAN KASI! ahh I just play the video above and his voice is trully nice! Thanks Wulan! :) He has an amazing voice! cute pics !! you look fabulous ! HAHA, I need to find a guy who will understand ‘man-repelling’ clothes! True! They are a rare breed though haha! EHRMAGEHRD~! DAT RED HAIR~! <3 Can I swoon at your red hair!! Either way, I am swooning!! The outfit is very cute and feels so much like spring, if you get what I mean. I don't think I quite grasp the term "man-repellers" though. Haha! You’re a man that’s why! Hard to explain :) Thanks Mark! Agad agad? Haha! :) Thanks Carol! Hahaha :) It was all for fun! :) He really is bagets pa. And you’re right, he’s so talented!